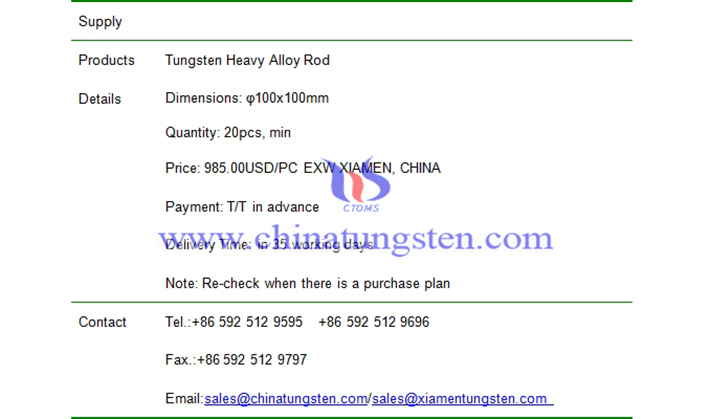 φ100x100mm tungsten heavy alloy rod price is 985.00USD/PC on Apr. 16, 2019. 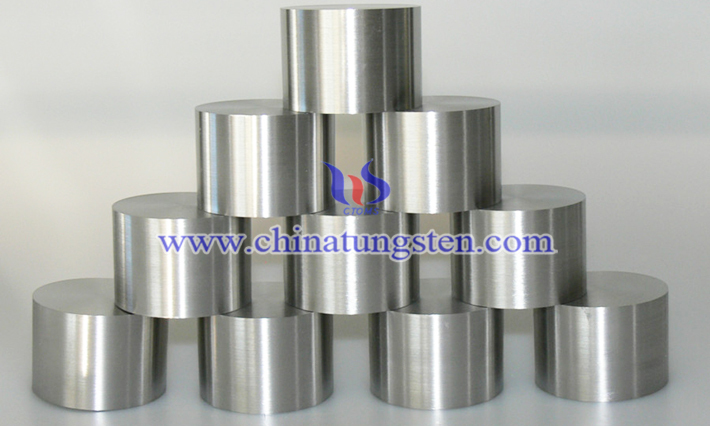 The composition of the bar is 97WNIFE with density of about 18.5g/cm3. Sintered WHA blanks can be further rolled or swaged to produce rods with ultimate tensile strengths exceeding 1240 MPa and elongations exceeding 5%. We also precision machines WHA parts for use as ballast weights, radiation shields, boring bars, ordnance components, and other components that require high density and good ductility.